We are successfully engaged in providing a wide gamut of Plastic Liquid Lipstick Container. Being a popular company, we are indulged in presenting a broad series of Black Lipstick Container. 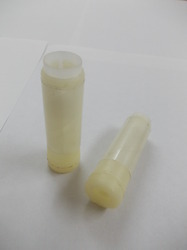 Our company has created a niche in the field of offering Lipstick Container. Color: Red, green, transparent,yellow, pink. It is supplied with a flat applicator which greatly enhances its usability and feels like a premium product for the end user.